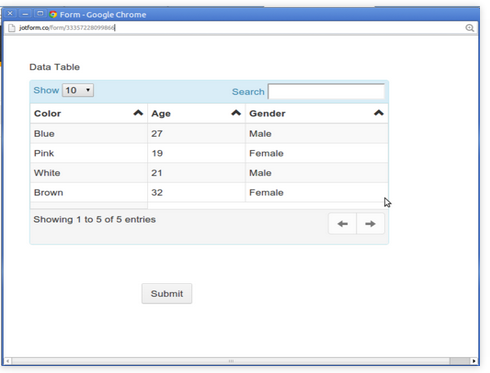 The preview window shows the table in perfect order but in the published table there are colums and rows missing. 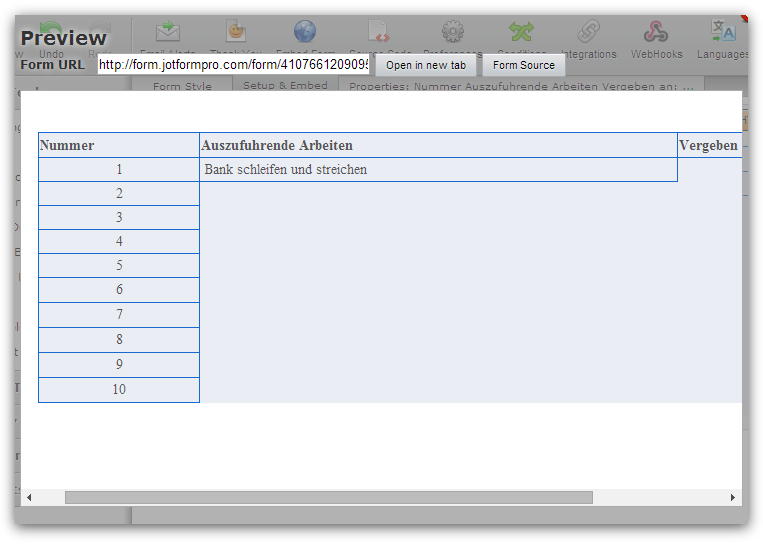 How can I get the table in JForm? It is possible that some table code is being stripped by the editor or our protection. Can you please share a code of your table with us? For example, you can share it via http://pastebin.com/ or http://tny.cz/. We will try to reproduce the issue and see if there is anything that we can do about it. Should you want to share a screenshot, try uploading images here http://tinypic.com/ then, share to us the URL link of the uploaded image so that we can also view it here.